There’s no secret, in 2019, launching a groundbreaking website is much more than just a must-have. Today, it is a real way to develop your business whatever it is about. In fact, there is no way a young company or startup can survive without being online. As a result, there are more and more web design trends appearing. And some of them are really expensive! However, if something is in vogue it does not mean that it’s worthy of your money or even attention. So, how to decide which web design trends your website needs in 2019? To answer this question, simply keep reading because today I’m about to review the top proven web design trends in 2019. When you are about to design a website, this process should always start with navigation. To make a long story short, navigation is the basis of your online project. This is the first thing a prospect sees when visiting your website. And, what’s more important, this is the first thing people use when entering your website. All in all, the navigation you create should be 100% customer-friendly. So, your main task is to let a customer find whatever they are looking for. And only when you are sure that your site navigation is comfy, it’s time to look for web design trends. So, which trendy features can enrich your website navigation? Let’s see! These days, experimental navigation becomes more and more popular. There are even lots of themes that provide such a feature. In a word, this trend combines various styles which are mostly used for websites with less content. However, when designed properly, experimental navigation can be useful for a big project as well. Here is what you should know when using experimental navigation for a website. Always check if it’s eye-friendly enough! Keep in mind that different styles come for different purposes. In other words, not every style is suitable for every design as well as for every prospect. Whatever it takes, your website navigation should also be visitor-friendly. All your web fonts should be readable and harmonize with the rest of the design. Finally, always check the usability of your navigation and make sure that it comes for every single page. Here is another thing to think of! Although scrolling looks like a regular action, it actually influences your customer experience. All in all, scrolling is what any visitor does on your website, so are there any web design trends related to scrolling? As you may know, in 2019, endless scrolling became one of the most popular web design trends. It happened just after people noticed that over half of all world traffic comes from small-screened gadgets. In fact, it is really easier to flip through endless scrolling when you visit a site via mobile. So, when it comes to the mobile version of your website, endless scrolling is a nice way to improve your online pages. Using this web design trend, you can showcase tones of content, However, some prospects still work with the old scheme. I mean they prefer to get to the end of the page. In this case, endless scrolling becomes a real disaster. Just imagine this situation! People become quite nervous when they are scrolling a page for minutes but still can’t get the footer. To start with, it would be fair enough to say that we live in the era of thumb-friendly devices. They are literally everywhere! For these simple reasons, in 2019, thumb-friendly navigation is more than just a web design trend. It is just as important as responsive design or Search Engines Optimization. The modern studies on mobile user patterns show that online users mostly use mobiles with a single hand. As a result, your customers navigate the site with the help of their thumb. Actually, this is one of the main reasons why such famous companies as Apple decided to create new mobile devices with bigger screens. Also, to create truly thumb-friendly navigation you should know what ‘thumb zone’ is. To make a long story short, ‘thumb zone’ is the so-called essential element you can see in UX or UI design. It is widely used for the development of different user interfaces and their improvement. How does it work? Well, ‘thumb zone’ is the zone where all the important web design elements will be placed. With it, a visitor will be able to navigate the design from ‘thumb zone’ without a hitch. To finish with, I have some tips for you. 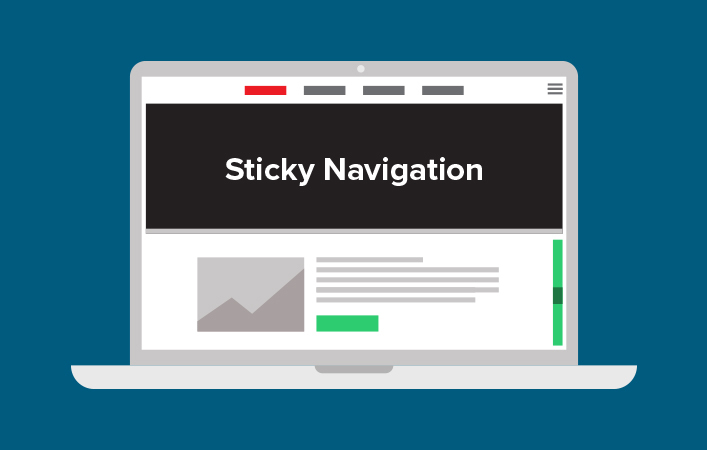 Here is what you should remember about when working on the navigation of your site. First things first, don’t forget to add some CTA, buttons, and other tooltips to the design of your site. These elements will guide people through the website’s content. On the other hand, make sure that you did not overuse these components. Otherwise, they may confuse your shoppers. In addition, I recommend the beginners to try different scrolling techniques. Just analyze the behavior of your audience so you can see which technique it is better to use. 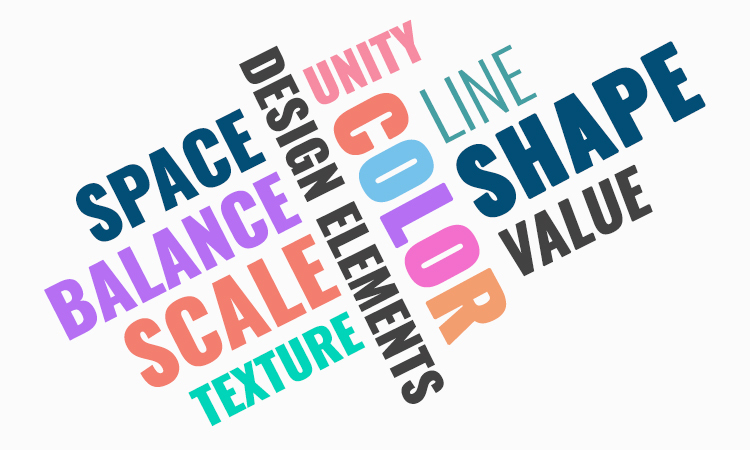 Now, let’s move to the visual elements you may want to use! When it comes to the visual elements, I can name you lots of things that already became trendy. However, let’s focus on the proven ones only! Below you can see the list of such visuals. By tradition, let me tell you more! Without a doubt, white space is the next simple element which definitely influences your customer experience. When used effectively, white space allows you to highlight the needed info and showcase the needed parts of the website. Besides, it will also help you to place CTA buttons and emphasize them as well. In 2019, it somehow became a web design trend, so today’s website owners are trying to use more white space. However, talking about web design trends, adding extra white space contrasts to the reason why website owners usually use it. Originally, white space was meant to let visitor’s eyes relax for a moment. Nowadays, adding additional space will help you to make a particular website part more noticeable. To make a long story short, adding white space to the areas that do not really need it, you visually highlight them. Back in 2019, you can see that there are more and more websites start using extra white space in their designs. Here is the next web design trend which exploded the internet – 3D. Needless to say, it’s not a new thing but this new-old-fashioned form of illustration is in trend again! To put it briefly, using 3D illustrations, you will add depth and realism to the web design. Would you like to kinda blur the boundaries between the digital and physical worlds? In this case, high-quality 3D illustrations are just what the doctor ordered! To end with, let me remind you that (same to any other popular visual element) 3D illustrations should not be overused! It will interrupt your visitors and can lower your chances to design a truly eye-friendly website. Actually, Animated Particle Background already grabbed the attention of modern website owners in 2018. And it became super popular in 2019, so, today, APB is one of the leading web design trends and your must-see! To begin with, I’m sure that even if you have never heard of this web design element, you have certainly faced APB at least once. The thing is that, nowadays, it’s a magnificent alternative to a custom hero section on the web page of your online project. Historically, Animated Particle Background effect was only used to create such things as snowfall or raindrops. Needless to say, digital progress never stays still, so soon these elements became less and less primitive. As a result, today APB is a great way to improve your website look. In addition, Animated Particle Backgrounds are lightweight. That is why, using these UI elements, you won’t influence the loading speed of your site. As always, just make sure you are not overusing this web design trend because even groundbreaking things can become terrible when you use them too much! Would you like to know how the feature looks? You can upload this live demo of Visuelle to see how Animated Particle Background works in action. Needless to say, such features as Parallax scrolling are still in trend. Website owners all over the globe continue adding different aminations to their web designs. In case you are going to add a video, I have some tips for you. Set the music to silent mode by default, but allow users to turn it on by clicking. Create play and pause buttons. Do not combine multiple effects at the same time. Animation should be smooth and refined. Track the number of popup elements. Apply conditional animation. Reinforce its use by objective reasons, rather than a simple wish to add several moving elements to the site. Obviously, the web fonts you are going to use are as important as the rest of your website. To say more, this point influences the readability of your online project. That’s why you should think twice of the web fonts you choose. 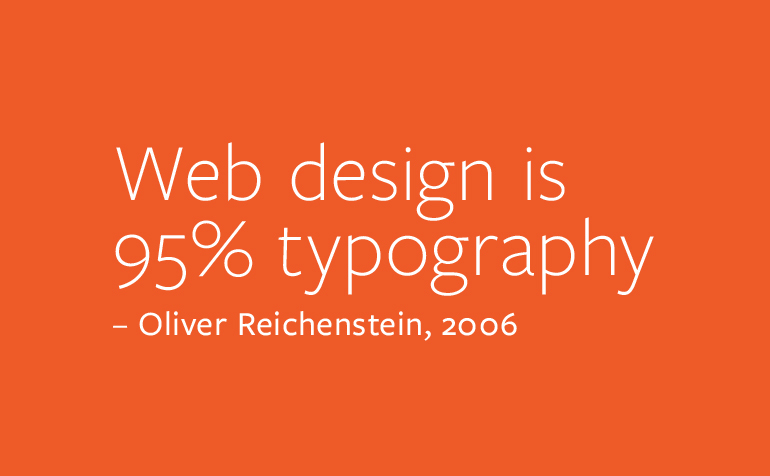 And, needless to say, there are many web font styles that make recent web design trends! For starters, using more vintage typography styles is in vogue right now! Although Serifs has been popular for years, today this is one of the most refreshing design trends of 2019. As a result, website owners add more Serifs typefaces and use rounded slabs. There are lots of elements you can use to create an older feel. Lines become thicker and the styles become bolder. So why this style became a real web design trend again? Well, everything is as simple as it gets. The biggest reason why bold fonts are so popular is their readability and eye-friendliness. Your customers are more likely to recognize bold typography. Another important thing is that Serifs provide better screen resolutions across all devices. Needless to say, your web fonts choice should not be limited. You can use as many typefaces as you want but I recommend you to use only 3-4. Make sure that the styles you choose harmonize with each other. Here are 10 top successful web fonts combinations you can use to design a website. To make a long story short, the color scheme you use also influence the popularity of your website. In fact, different colors do evoke different emotions. Seeing that, you can customize your web design the way you need, so people will feel the way you want them to feel. Back in 2019, you can see that black and white patterns are making a comeback. This color combination has always been a winning one. All in all, can you name a more elegant color scheme than the one with black and white? White is a clean and calm color when black is an assertive and strong tone. By combining these colors together, you get a charming contrast with the minimum amount of color. To sum everything up, black and white patterns are perfect to be used in a flat design, minimalist design, neat design, etc. Some people still think that it’s boring. However, when the brights colors are missing you can see how shapes, shadows, textures, and other design components become clearer. Also, many users start adding bright colors to their black and white designs. Usually, they add it to CTA and other buttons that require visitor’s attention. also, there should be whitespace and soon we’ll tell you why. As you can see, in 2019 such things as conversational bots and machine learning still matter. And matter a lot. These topics became extremely popular in 2018. And, since then, chatbots have become a real web design trend. 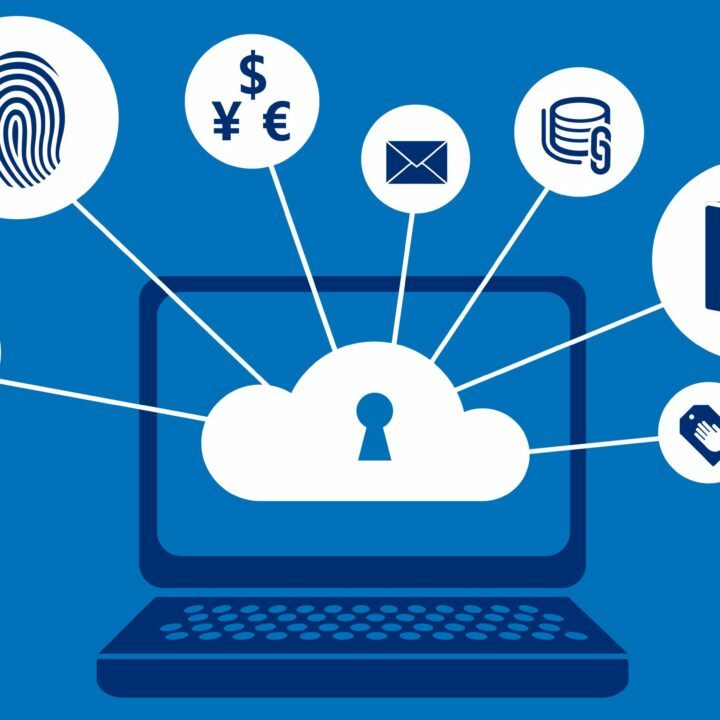 improved efficiency by allowing for easier and time-saving transitions between cases. When it comes to chatbots, I’m sure they will be showing more and more in 2019. Without a doubt, they are going to have a higher customization level, so even non-techies will be able to set them effortlessly. As you can see, the list of modern web design trends continues increasing. In this post, I named you only a few features. Without a doubt, you won’t need all of these options, elements, and technologies. Still, whatever you are going to use for your site, harmony is what you truly need. As it has already been mentioned, all the parts of the website you create should harmonize with each other. So, are you sure that your website is 100% visitor-friendly? In this case, it’s time to choose your web design trends! Thank you for such an amazing post. I also believes that you should always Choose the trends that best align with company values. If something is said to be “on-trend”, it doesn’t mean that you have to adopt it.